Are you looking to install or activate a WordPress theme? As a beginner, you may try out a few themes on your site until you find the right one that completes your needs. In this guide, we will provide you with details step by step instructions on How To Install Free Theme On WordPress for beginners. If you need more help and details, then continue reading. 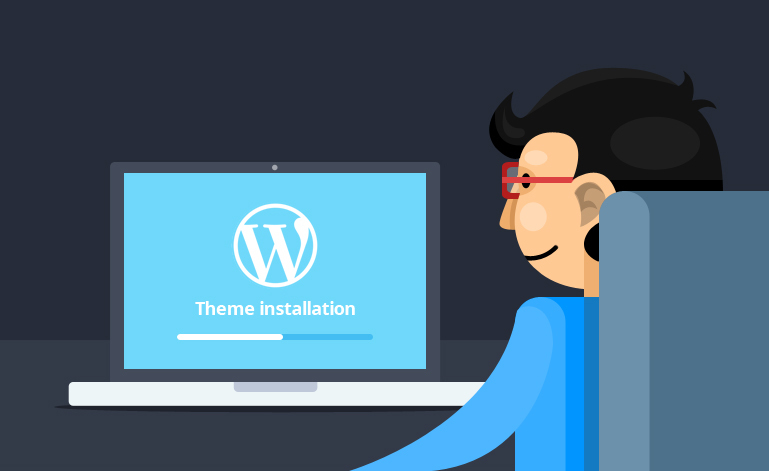 This tutorial explains how to install themes and activate on your WordPress site. The first thing you needs to do. when you want to install a new WordPress theme first log-in to your site admin page. Now, Go to the Dashboard > Appearance > Themes menu in the WordPress. See below screenshots for More details. our current theme is the Daron theme. At the top of this page, you’ll see Add New Button. Firstly click on it. After clicking Add New Button Here we see a button to Upload Theme, click on it then you see another button to Choose File. Click on Choose File button and go to your theme directory and select your theme zip File. Now click on the install button to upload your theme which you want to install into WordPress. currently, I am going to upload my Aneeq Premium Theme into it. After, All these steps simply Click on the activate button and enjoy. Now, you can go to the home page of your site to see its new perfect theme look.